After students access the Cerego assignment once in Canvas, they can access Cerego via our popular mobile apps for iPhone and Android. We created this reference guide for a step-by-step tutorial on how to set up the integration. However, if you need extra help setting up the Cerego Canvas integration please don't hesitate to contact a Cerego implementation specialist who can meet with you online and walk you through the process. "The assignments in Cerego can be made available via Canvas. Thus, students see when they are due on the Canvas calendar. Once you get the integration set up, the grades are automatically entered into the Canvas gradebook. This saves time entering grades." 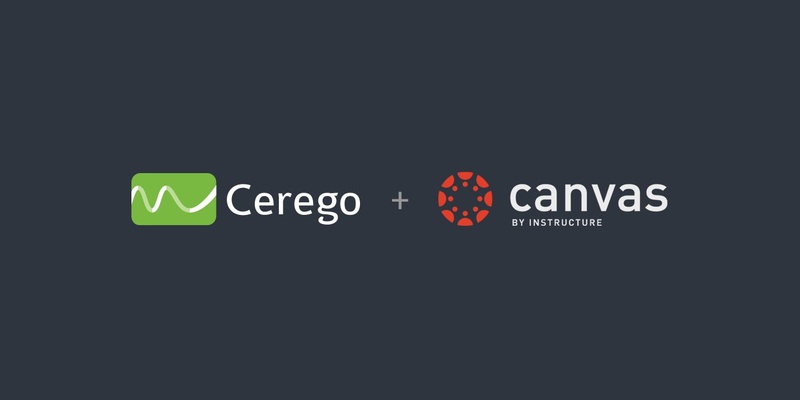 The Cerego/Canvas integration can be used with our Gates Grant funded courseware, or, for any adaptive learning content you want to create. Pilots of the Cerego/Canvas integration are taking place at Santa Rosa Junior College and Long Beach City College. Site licenses are available, as well as a new Cerego/Canvas PayPortal LTI, which provides a flexible and convenient way for site administrators to include Cerego in their Canvas root instance. Let us know if you’d like to pilot Cerego at your campus or school. We're here to help.